The 2016 Ragnar Relay Florida Keys event was scheduled for February 5th and 6th. Unfortunately a number of issues arose with Monroe County, and they decided not to move forward with the permitting necessary to allow Ragnar to hold the race. There is hope that another Florida Keys Ragnar Relay race will take place in the future, however to do so it can't be held during peak tourist season. In the past, the Florida Keys version in the Ragnar Race series started at the Virginia Beach Park in Miami, and finished Saturday at 1319 Duval Street Key West. This particular event gears up to provide avid relay racing enthusiasts a chance to enjoy their sport in a lighthearted and humorous fashion. It was also held at a time of year when most people are skiing, or simply holed up for the winter as they try to ward off winter's chill. The near perfect Florida weather was yet another good excuse to participate in this Ragnar race. However that was also one of the reasons the race was stopped dead in it's tracks in late 2015. Each year there are 15 different Ragnar relays scheduled throughout the United States. However running relays from Miami to Key West was one of the more anticipated events. Relatively new in the world of relay racing, this Florida Keys event began in 2004 with it's first race held in the mountainous regions of Utah's Wasatch Back. The visionaries for this crazy event are Tanner Bell and Dan Hill. They relay race ideas resulted in a relay that would be more than just challenging, it would be fun. Maintaining the philosophy of their game plan, they then chose a unique name based upon an adventurous, conquering, and fearless 9th century Norse Viking. This event is not your usual race, it's a relay, and one with an attitude. It's designed to give runners a chance to mix it up with runners of lesser or greater skill as they participate in team relay races. It's also designed to be a fun event - one that people will remember for the rest of the year, while eagerly anticipating the next relay race. The areas chosen for these relays are always scenic, and the participants run a course over a 2 day and 1 night period. Runners take turns handling different legs of the event, and each leg varies depending on the challenge and distance. Typically a racing leg averages between 3 - 8 miles which is why it's perfect for runners of different conditioning and speed to team together. There may be modifications to any future Florida Keys Ragnar races, but in the past this relay was a 199 mile non-stop event. This meant basically no sleep, just time out for the bare essentials including food. However, entrants were treated to sweeping vistas of incredible beauty. 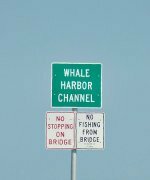 On their way to Key West FL, 42 bridges and 39 islands were crossed as they ran through Key Largo, Islamorada and Marathon Key. Of course ending the race in Key West Florida is another cause for celebration. Tired, sweaty and dirty has never stopped anyone from celebrating the night away on popular Old Town Duval Street. Before getting started with planned end of the race Key West festivities, entrants could check out South Beach at the bottom of Duval St for a quick dip in the Atlantic Ocean. Once cooled off and clean, they could then head off to the official Ragnar Relay social Key West party before leaving for a night out in Old Town Key West. This type of race is different from a marathon, not only because of it's greater distance, but because it's a group effort. Before you consider this particular event, you need to know that certain things are required. First you need a minimum of 4, to a maximum of 12 people on your relay team. Age restrictions are fairly typical, with 12 years being the youngest accepted, and anyone under 18 must have signed permission by a parent or guardian. Second, you will need to rent or own, one or several vehicles capable of carrying a combined total of 12 - 15 people. These vehicles can't be longer than 20 feet or wider than 6'6". Third, you also need to assemble a group of volunteers to help you with the race event. They will provide you with food, beverages, medical supplies and other important essentials, as you and your team work through the different legs of the Ragnar run. Fourth, you'll need several changes of running clothes and your own reflective vest. The latter is critical as you're racing in a very congested area, plus you'll also be competing at night. Fifth, each vehicle you have in your entourage must have 2 headlamps and 2 flashing LED lights. These must be presented when you register to receive your racing bibs and packets. Developing your Ragnar racing team is also totally up to you. Most teams are created by working with people they know or by contacting people they've run with in the past. Teams can also be formed by contacting other runners after checking the event's official Facebook Fan Page. Here you'll find people either looking to join a team, or those trying to build one. If you find that you're unable to get the full compliment of 12 in your group, then during the event, each Ragnar race runner simply needs to stay in the appropriate position so no one runs out of turn. Of course while a team member is running their leg, the rest of the team is resting, eating, and waiting at the next point to cheer them on. When a runner is finishing their leg of the Ragnar race, the next team member gets ready to grab the slap bracelet, which is carried throughout each leg of the Ragnar Relay series. Once the bracelet has been handed off, the next leg begins and the team continues on to the next point in their van, waiting to cheer their teammate on. Since this is a best finish time, instead of a race to the finish line, the teams do not start at once. They're staggered over the day based upon their speed. The teams with the slower speed start first, and the fast teams start last. This means the start times can begin as early as 5:00 am and go til as late as 5:00 pm on the first day. Even though various speeds are allowed, there is a standard that must be met. To finish the course in the allowable window, an average speed of 11 minutes per mile is necessary. It's suggested that each team have 2 vans per team, with 6 runners per van to handle the 36 exchanges that make up the relay. This is based on the fact that you would have the full compliment of 12 runners, with each covering 3 legs. There is also a team cost that when spread out over the number of team members is reasonable. For questions or more information about this or another Ragnar Relay, you can contact their head office at 877-837-3529 or visit them online at ragnarrelay.com.